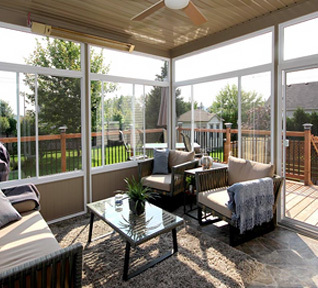 Working in the field of Windows and Doors for four generations, our Québec family business, Portes et Fenêtres 440, sells and installs windows and doors products and 3 and 4 season sunrooms. Portes et Fenêtres 440 can count on its qualified, responsible workforce who know better than anyone else the importance of an excellently done installation in maximizing energy savings from your doors and windows. You can be assured of top quality execution for your renovations. We take the time to speak with you, to explain our products, to propose alternatives and find common ground for agreement where necessary. 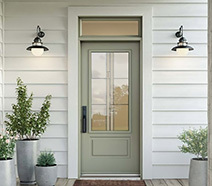 What separates us from our competition is, without doubt, our rapid delivery, starting from contract signature, which allows 10 days for delivery of white-colored doors and windows. Whether it’s a large or small renovation project, we have a vast choice of made-to-measure windows and doors, at a very competitive price. We work exclusively with high-quality products from the Concerto Windows collection. Choosing Portes et Fenêtres 440, means opting for a sequenced follow-through of quality with the client. Come visit our store to see all our products.